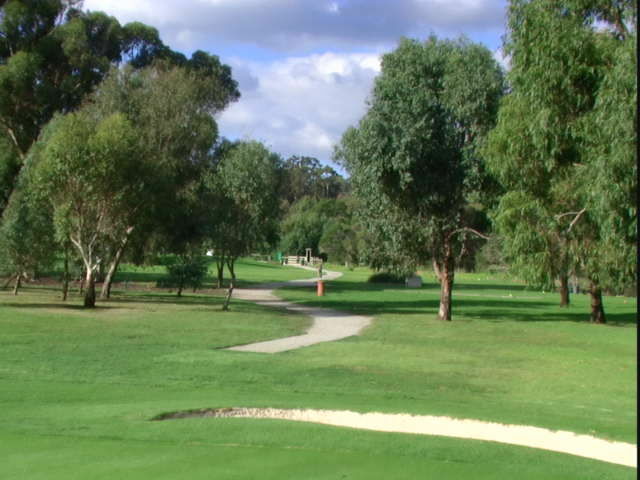 The course has a slightly undulating layout set amongst a natural wooded grassland environment that features a number of large River Red Gum trees, some reputedly reported to be over 100 of years old. 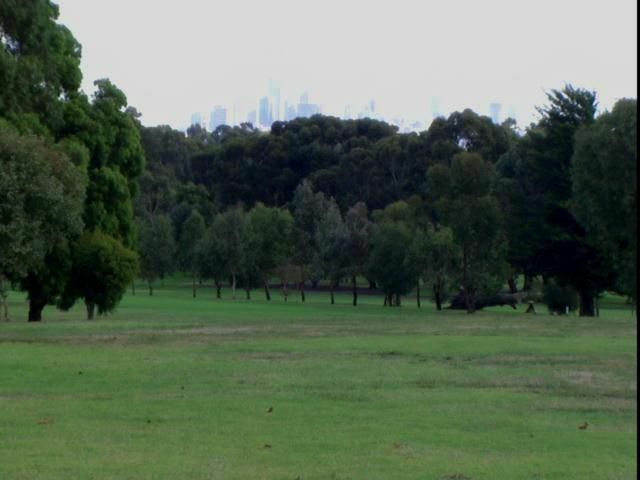 The course is flanked on two sides by a Habitat Link that consists of areas of natural vegetation and home for a number of native birds and animals and creatures that include kangaroos, echidnas and reptiles. The Habitat Link provides a natural corridor for wildlife and stretches from the Gresswell Forest to the Latrobe Wildlife Sanctuary and Gresswell Lakes areas. The course itself, consists of 9 separate greens with 2 separate teeing grounds allocated to each hole that combines to provide the golfer with 18 different holes. 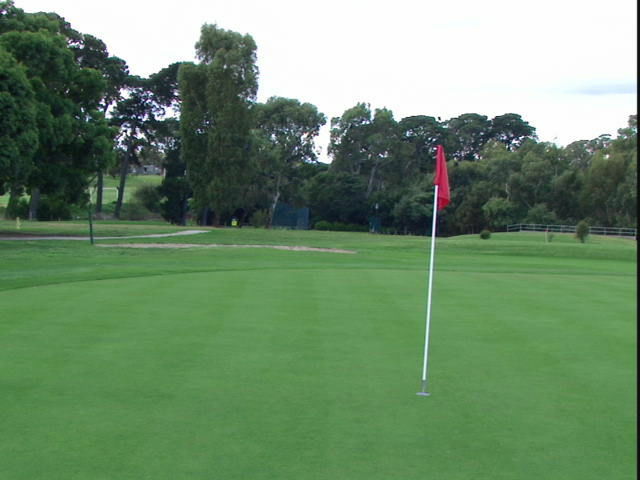 The course is fully irrigated and maintained by professionally qualified staff under contract to the club. 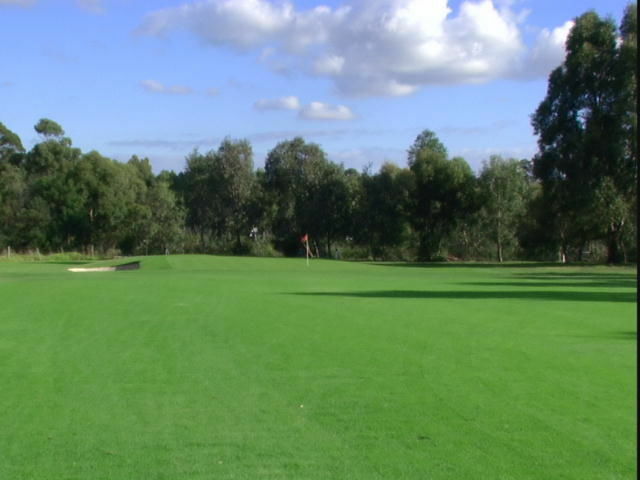 The course has a total length of 5011 metres with a Par of 68 (34 for each nine) and a rating of 67 for men and a length of 4887 metres with a Par of 70 and a rating of 72 for women. The slope rating for the Men's course is 117 and 118 for the Women's course. 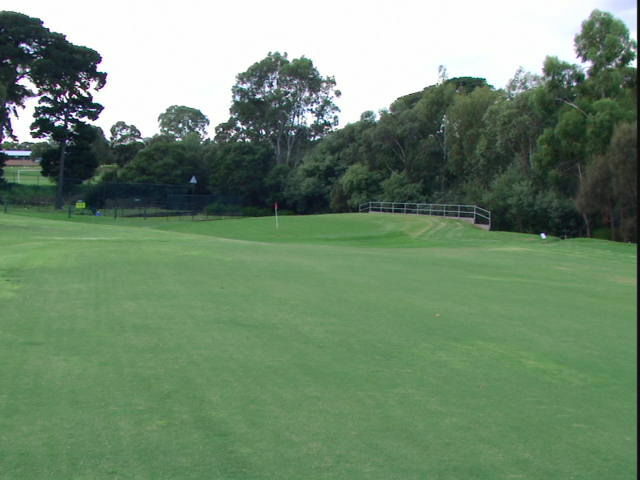 These measurements are somewhat shorter than the average course but the course still provides plenty of challenges with its small greens, narrow fairways and strategically placed bunkers and other natural hazards. 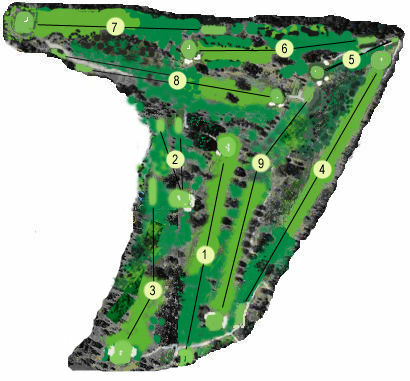 A hole by hole description follows a schematic of the course and the official scorecard. 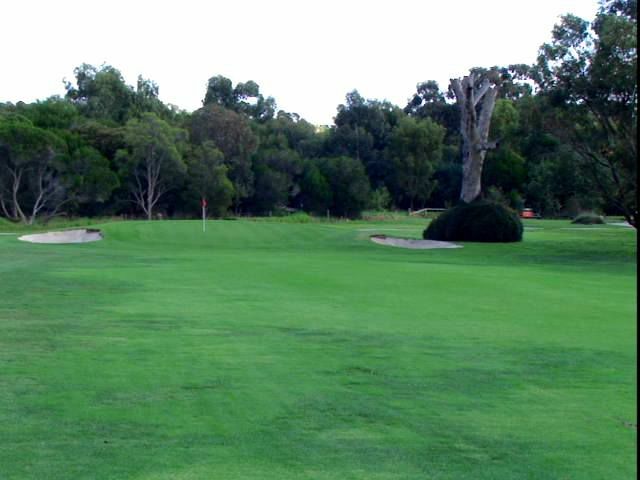 A straightforward par 4 of 318 metres with a large bunker adjacent to the green that will capture any shot that is left and short of the green. On the LHS of the fairway for the first 150 metres is a wetlands area marked as a water hazard. The difficulty of this hole is the tricky green that slopes from back to front. Any shot through the green or above the hole will often mean goodbye to a par and 3+ putts are not uncommon. 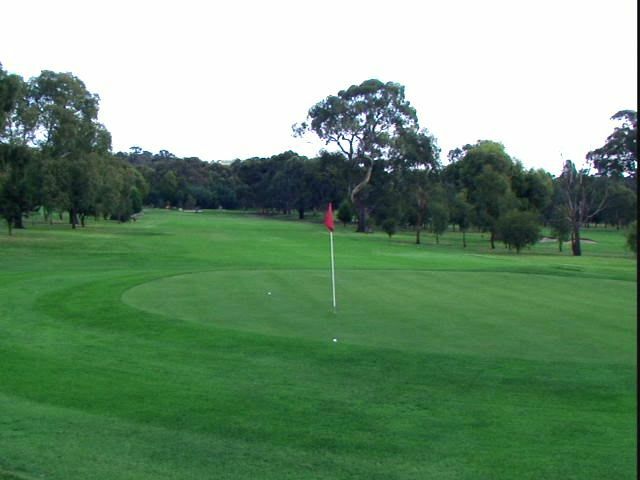 A short par 3 of 126 metres that demands accuracy as the green is guarded by a large River Red Gum tree and bunkers down the left hand side of the green. The optimal tee shot is to fly the tree or the less confident golfer can choose to run their tee shot under the tree but this demands precision because of the long grass from tee to green. with OOB down the length of the hole on the RHS and another large River Red Gum that protects the inside of the dog leg. 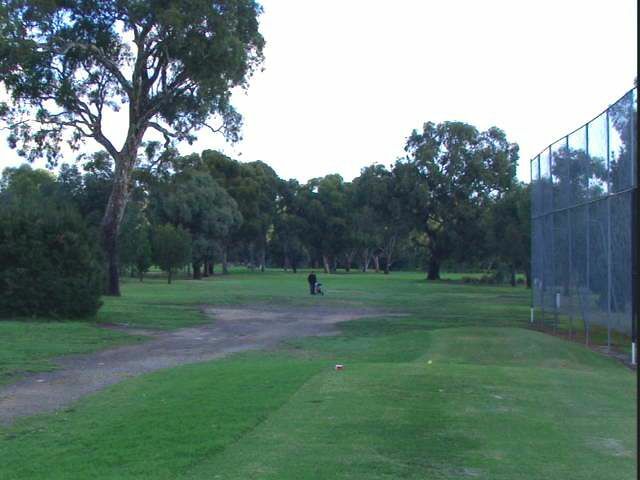 The player has a choice of tee shots, lay up and position their tee shot along side or just past the large gum tree or for the bigger hitters go direct to the green by flying the large tree or cutting the corner of the dog leg. 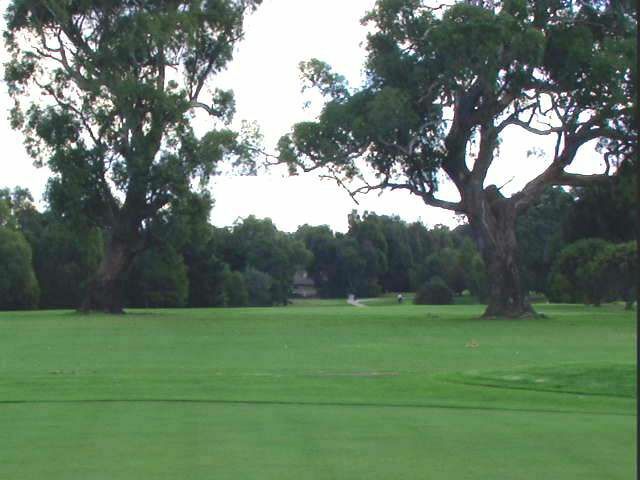 Through the dog leg is an area of several trees and the wetlands area mentioned for the first hole. These features will often make it a difficult shot to the green. 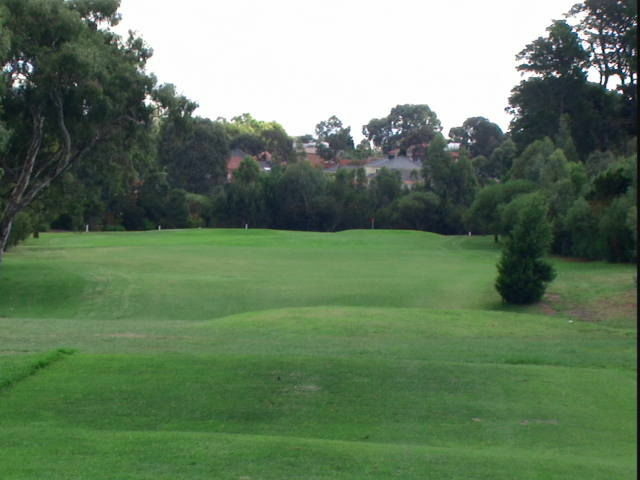 This is the club’s “signature” hole, a challenging par 4 of 422 metres. 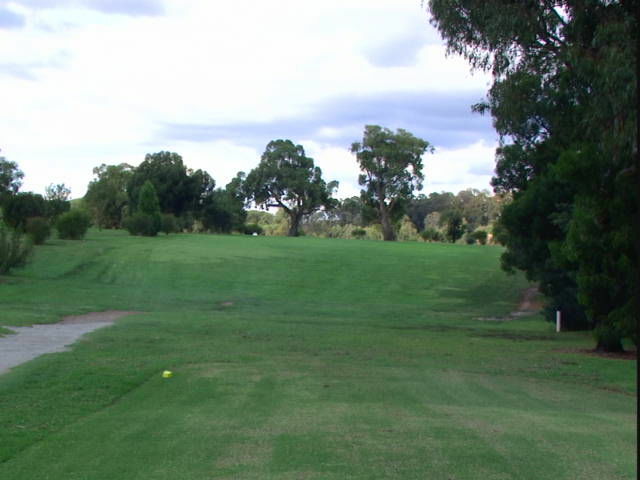 Some 75-100 metres from the tee is a large River Red Gum that occupies 75% of the fairway so an accurate and thoughtful tee shot is necessary. But beware, the length of the RHS is OOB and the natural slope of the land will take the balls towards this fence. 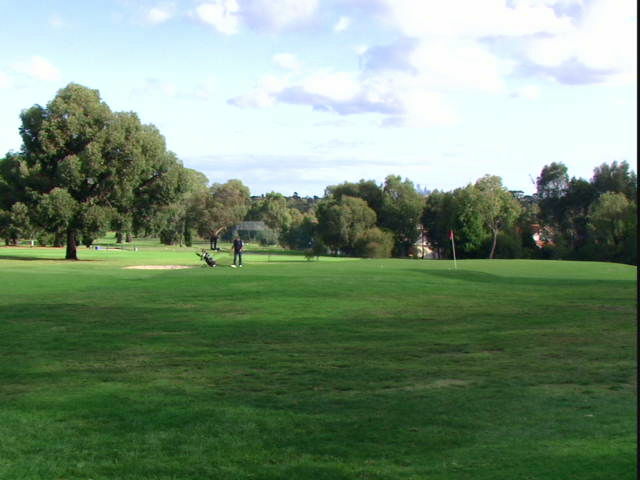 Having negotiated the initial difficulties, the player is still faced with a long shot to the green that is unsighted until about 75 metres out. A bogey score on this hole is a good score. A short uphill par 3 of 120 metres with a reasonably large green that is surrounded by bunkers (sand and “irish”) at the front and left hand side of the green. The difficulty of this hole is the selection of club as it is difficult to judge the position of the pin from the teeing area. A par 4 of 298 metres that demands an accurate shot from the tee as it is located in a chute with trees forward of the LHS of the tee and OOB on the RHS. The green is well guarded with two bunkers short and left of the green and an Irish bunker protecting the RHS of the green. Another par 4 of 310 metres that necessitates a straight shot off the tee with OOB along the RHS of the hole and a heavily timbered area on the LHS of the fairway. 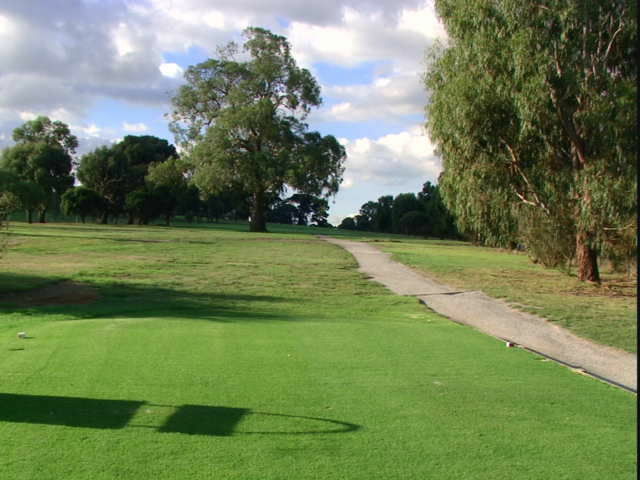 Players must negotiate a large gully (dry) that runs across the fairway at about 150-170 metres from the tee, The green is of a generous size but features a distinct ridge that runs from the front of the green to the back. A par 4 of 292 metres. 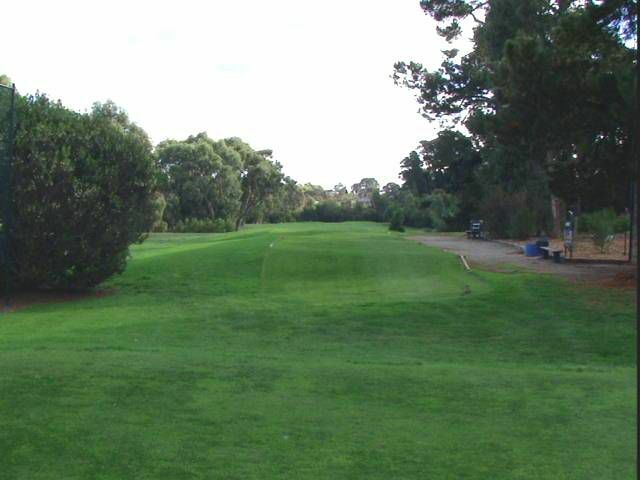 A generous fairway that is dominated by two large River Red Gums on each side of the fairway but inside of the fairway at approx. 80 metres from the green. The position of these trees demands careful placement of the tee shot in order to provide a straight forward approach shot to the green. 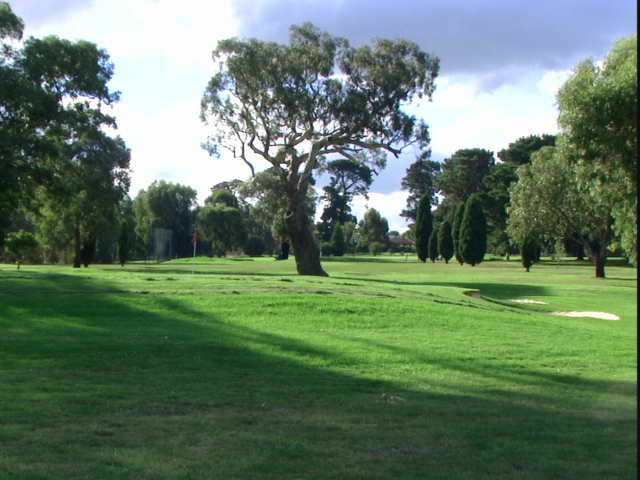 A slightly downhill par 4 of 353 metres with a tree lined fairway to capture any stray tee shots. The position of the 9th tee creates a slight left handed dog leg. The green is protected by large bunkers on either side of the green. The danger is through the green where a boundary fence exists (OOB) or when short of this, a shot to an elevated green from the long grass is required. See also description for Hole No. 1.
a difficult shot to the green. The position of the tee makes for a straighter shot than that from the second tee but the same shot options and difficulties apply. A par 4 of only 261 metres and for the big hitters, the Green is reachable off the tee but beware, do not go left or right as an inaccurate shot will see you chalk up a double or even a triple bogey. An accurate long shot off the tee should reward the player with at least a par and possibly a birdie. See also the description for the fourth hole. 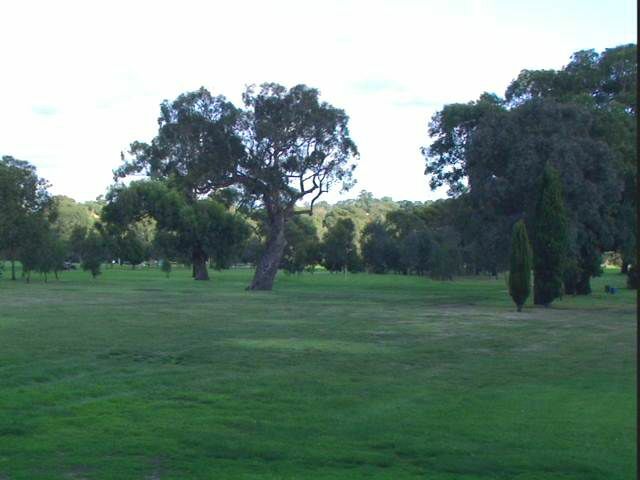 This tee is located only 7-10 metres forward of the tee for the fourth hole so the same comments are relevant. On some occasions when the tee is well forward, the tee shot seems less daunting than the usual tee locations. See also the description for the fifth hole. When the north-westerly or westerly winds are up, the shot from this tee must be accurate and the club chosen can often be 2-3 clubs longer than normal. Another hole that is affected by a westerly wind and can lengthen the hole considerably. See also the description for Hole No. 6. See also a description for Hole No. 7. 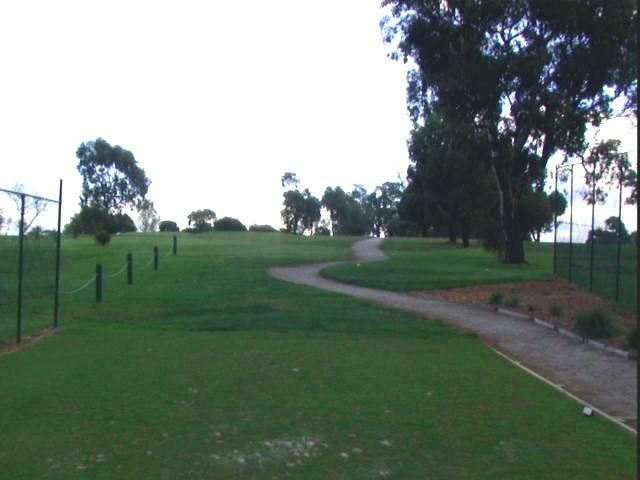 A par 4 of 273 metres with an OOB fence running the length of the right hand side of the fairway . A good tee shot will reward the player with a relatively straight forward short iron to a generous size green. With a maximum of two putts you will be rewarded with par, or better. See also a description for Hole No. 8. 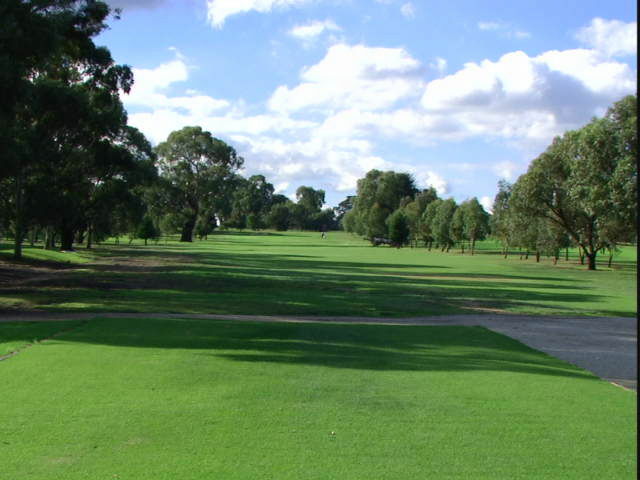 A par 4 of 328 metres with a generous fairway that demands a good tee shot to set up a second shot that is able to negotiate the two large trees on the fairway and reach the green. See also a description for the ninth hole. 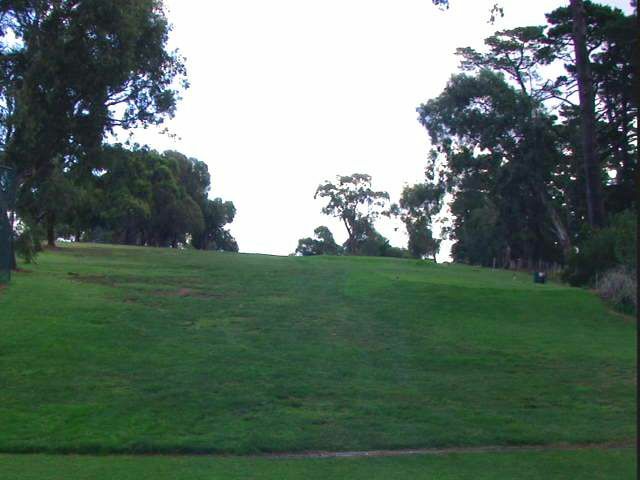 A straight downhill par 4 of 360 metres to finish the round. Hopefully you have recorded a good score and earned a drink In the clubhouse.